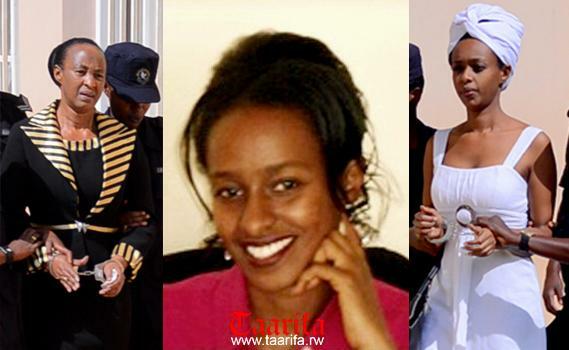 Rwandan Court on Monday granted bail to Anne Uwamahoro Rwigara while her mother Adeline and sister Diane are to appeal court’s decision to keep them in custody. The ruling came after court’s detailed analysis of both prosecution and defendant’s submissions on the charges leveled against the two. The Nyarugenge court found no serious grounds for Anne to be kept in detention following prosecution’s failure to provide the judges with enough evidence on charges of insurrection and divisionism. Meanwhile, the court analysis found strong grounds to deny Adeline bail. Court said that the words she used in audios, while communicating to different family members and friends are cause for concern, if she is temporarily released. The court also found serious grounds for charges of forgery, insurrection and divisionism preferred against Diane Rwigara, as her lawyer failed to convince the judges to grant her bail. The court noted that if released, both Adeline and Diane are capable of tampering with evidence of the ongoing investigation or escape justice, since from the audio evidences adduced before judges, they alluded to fleeing the country. Prosecution convinced the court with forensic evidences on forgery of signatures for eligibility of Diane’s presidential candidacy. The court stressed that despite the legality of the press conference she organised and exercised her rights to political opinion, there are prosecutable statements she made during the event. The trio’s court appearance on Monday was under tighter security compared to previous hearing. Diane and her mother have to plot an appeal.